COPE for the Classroom — COPE2Thrive LLC - Programs to help children and teens coping with stress, anxiety, depression. COPE2Thrive evidence- and CBT-based programs that can serve as classroom curriculum for middle, high school and university students coping with anxiety and depression. Through a series of brief, easy-to-follow sessions, complete with skills-building activities, the evidence-based COPE Programs convey that there is hope for change, and that both depression and anxiety are treatable. COPE recognizes that we can't control trigger events, but we can control our responses to them. COPE2Thrive provides all-inclusive evidence-based programs (including instructor training and materials) delivered using standardized student manuals and concepts, ensuring that all components of Cognitive Behavioral Therapy are covered with students despite any differences in a instructors' background, experience or method of delivery. We offer two cognitive behavioral therapy (CBT)-based, instructor-delivered programs (7- and 15-session) that are easily delivered (using age-focused student manual/workbook) by counselors, school nurses, and many teachers to students in either one-on-one or group sessions at primary and secondary schools, and colleges/universities. Our evidence-based programs can be implemented (including instructor training) and provided to five students for as little as $385. Programs include all program materials, training for one instructor/teacher and five hard-copy student manuals/workbooks (additional manuals/workbooks available separately). 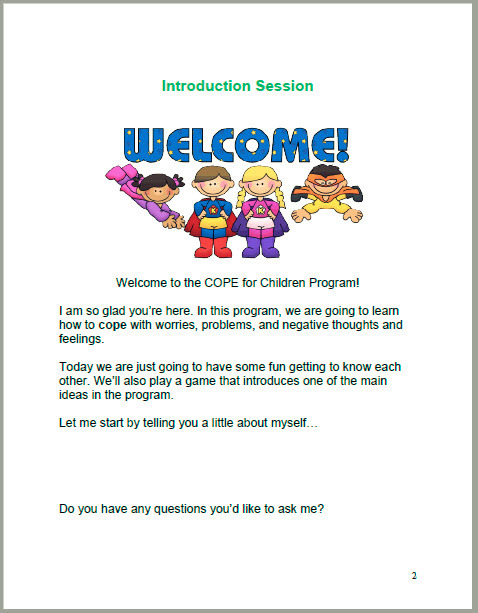 The COPE2Thrive CBT- and manual-based 7- and 15-session programs are designed to be "taught from the manual", so they can be delivered by counselors, teachers, school nurses, etc. to students in either one-on-one or classroom-based group sessions. All instructor training is available online, 24/7 and can be completed in only a few hours. The programs can be easily integrated into existing curriculum or serve as a stand-alone program. Program instructor training time is minimal (about 3 hours), and costs for the required student manuals can be passed on to participants (partially or fully) if desired. A Print-Your-Own Student Manuals option is now available for larger schools/districts/providers (minimum 200/type , i.e. 7-session, Children, 7-Session Teen, etc., student manuals and additional manuals must be purchased in groups of 200) that provides a 75% savings off the printed manual price (contact us for further details). 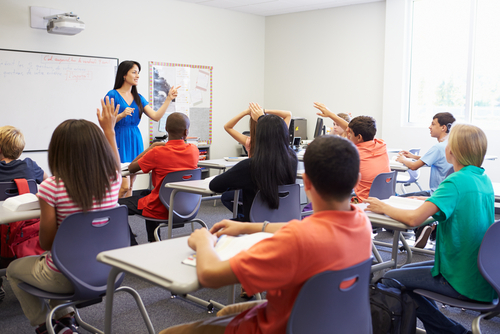 Public and private middle schools, high schools and districts around the country are currently utilizing or piloting the programs to help their students learn cognitive-behavioral therapy-based techniques for coping with stress (7-session program) and making healthy exercise/nutrition decisions (15-session program). Children, teens and young adults face a number of stressful transitional stages during their K-12 education years. To help schools quickly implement and deliver our programs to students during these particularly stressful years, COPE2Thrive now also provides all-inclusive program packages designed to quickly equip schools with the resources needed to handle the unique needs of each transitional year (includes online instructor training for four school personnel and manuals for over 200 students). For those who prefer building their own package, individual programs are still available. Parents: Are you looking for a self-delivered, online program that your teen can take from home?